A Granite Belt winery will soon be conquering the Asian market with funding from the Queensland Government to help grow their enterprise. Minister for Agricultural Industry Development and Fisheries Mark Furner said Kominos Wines was one of eight diverse food companies to receive second round funding from the ‘Growing Queensland’s Food Exports’ program. 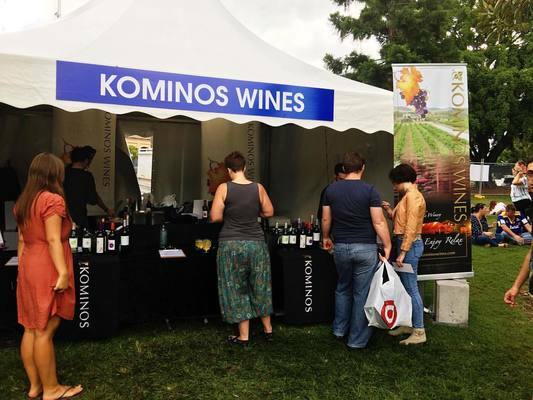 “The Granite Belt is known as Wine Country for a good reason, and if you don’t believe me, get yourself a bottle of Kominos,” Mr Furner said. “Tony and Mary Comino have enjoyed over twenty years exporting direct to China, Taiwan and Japan and we want to see that continue to grow. Growing Queensland’s Food Exports supports regional producers already exporting or ready to export break in to lucrative overseas markets and supply chains. The $1.3 million pilot program aims to boost Queensland’s food exports, delivering jobs and economic growth in regional areas. “This a big win for Kominos and its employees because with increased demand, of course comes increased supply,” Mr Furner said. “Something tells me they will need every last grape from the 30 acre vineyard this season. By providing matching grants of up to $100,000, the Palaszczuk Government is supporting producers and food businesses to improve their export competitiveness through better understanding of their markets. “So far, we’ve assisted macadamia, mango, melon, strawberry, sweet corn and pork producers to build their business capability to take advantage of opportunities to grow exports,” Mr Furner said. The Growing Queensland’s Food Exports program focuses primarily on horticulture as Queensland is Australia’s largest producer of vegetables and the second largest producer of fruit and nuts.